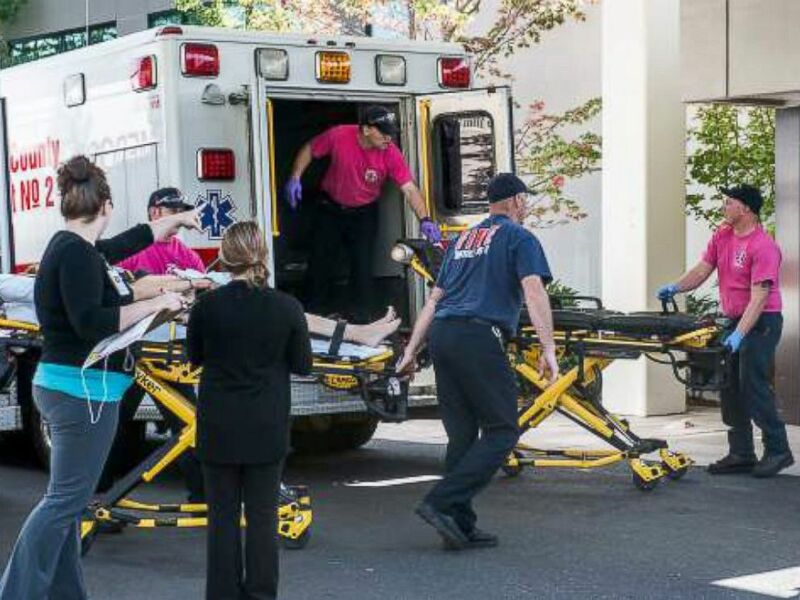 ROSEBURG, Ore. — A woman whose grandmother was reportedly inside of the Oregon college classroom where 10 students were shot dead on Thursday says that the gunman singled out Christians in his massacre on the campus. Bohdi’s report is similar to that of student Kortney Moore, 18, who told the News Review-Today that a bullet flew through the window of her writing class and she looked up to see her teacher being shot in the head. She said that the gunman then told everyone to get on the ground, and asked students to stand up and state their religion. 10 students were killed in the attack, and approximately 20 others injured. Some students are fighting for their life in the hospital. As previously reported, the incident occurred after 10 A.M. at Umpqua Community College in Roseburg, approximately 180 miles south of Portland, and is believed to have been contained to a classroom in the science building. However, Cassandra Welding, 20, who was in the classroom next door to the shooting, told the New York Times that a woman in her classroom rose to close their door and was struck by a bullet. The shooter, who is now being identified as 26-year-old Christopher Harper Mercer, exchanged gunfire with police, and is now deceased. His MySpace page features a number of photos of rifles, including Mercer holding a rifle himself. Several photos are of the Irish Republican Army, which was considered a terrorist organization that carried out violent acts in opposition of British rule of Ireland.